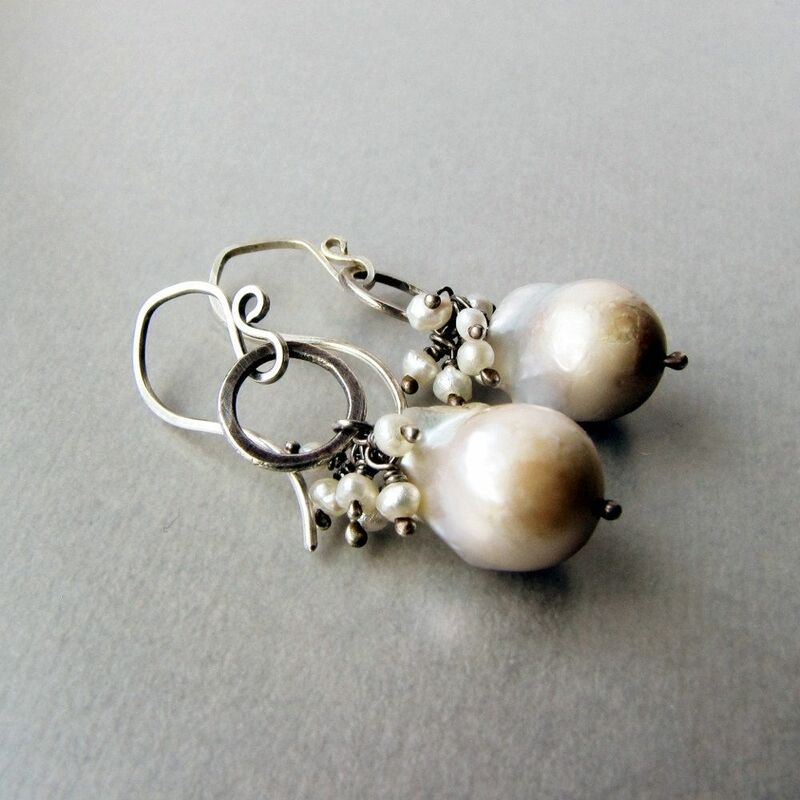 Dangling from hand-formed, hammered and fused sterling silver rings are rare, unique and lustrous "flameball" pearls. 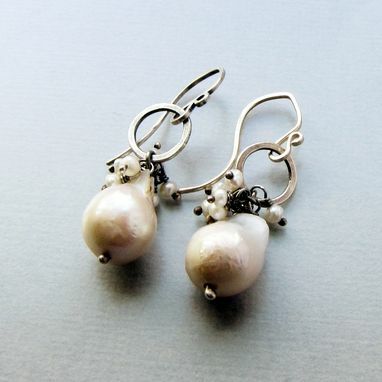 A small cluster of tiny freshwater pearls on handmade headpins top each flameball pearl. The rings swing from hand-formed and hammered ear hooks fashioned in my signature style. These earrings measure 1.5 inches (or 3.81 cm) from the top of the ear hooks to the bottom of the flameball pearls.